watchdog group says the CBC is planning a fresh round of service cuts, including making Radio Two online-only and merging some English and French programming — but the public broadcaster denies the claims. 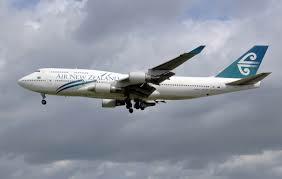 One of the best Airlines in the world is Air New Zealand. For many years they have built strong strategic partnerships with other iconic brands including the world famous All Blacks. While many of the All Blacks may not be household names in North America, I think this video is worth watching because it is a good example of what happens when companies partner and collaborate. The end result is that their brands become even even stronger. To celebrate the partnerships with the All Blacks and World of WearableArt Awards Show (WOW) Air New Zealand staged a photo-shoot inside our 787-9 mock up. What strategic partnerships could you develop in your area to build on your brand and become more famous in your local region? Two of the nicest people in radio have made the jump to a major Canadian market. This does not happen very often, but they are living proof that if you work hard in a smaller market to create a great morning show, and also understand the importance of networking, eventually you will be noticed. Check out the promo video for Kevin & Sonia below. You can listen live to the new show at The Peak Vancouver. Flowing close on the heels of the US study about the power of radio and the return on investment for advertisers, now there is Canadian research that shows that for every dollar invested in radio, advertisers saw an average return on investment (ROI) of $5.42. The study provides homegrown data that complements international efforts supporting advertising agencies and media-buying clients around the world. The release coincides with the launch of Bell Media’s new industry-wide awareness campaign Radio ROI Delivers, which offers quick-click access to advertisers looking for more detailed ROI information on their potential radio investments. The findings of the study, which are based on a 10-year aggregate of marketing communications results, were produced in partnership with expert Canadian marketing firm, Custometrics. The results of the Custometrics research mirror additional industry findings, expressing a significant positive return on radio investments. In addition to the Custometrics study, Bell Media’s leading research division has packaged a research compendium which will be shared with national and local clients across the country. Bell Media has also recently partnered with an additional advertising client to dive deeper into the insights and synergies that deliver ROI, addressing specific advertising categories. The Bell Media research team expects to release further findings within the next several weeks. With a few exceptions, the Fall 2013 BBM results weren’t overly kind to the various permutations of rock. In larger markets, heritage rockers posted some of their worst numbers ever. In medium and small markets the results were largely the same. This could be chalked up to just being an unusually dry period music-wise for the format. To better answer that, we need to go over the last few books to see if a trend has appeared. As such, here’s how rock radio (Classic/Mainstream/Active/New) fared over the last 4 years as a percentage of share in each market. In St. John’s, both K-Rock (Classic) and OZ-FM (Mainstream) were in the format in 2010, but OZ flipped to CHR for the 2012 book citing lower-than-expected ratings, even though Newcap was already on that hill with Hits-FM. In 2011, Live 105 (New) joined heritage Q-104 (Active), which accounts for the noticeable increase from ’10 to ’11. Since then the format has held fairly steady. Plus, the argument could be made to lump in Newcap’s new rock-leaning AAA, Radio 96.5, that signed on just prior to Fall 2013, which would take rock 4.5 shares higher in both A12+ and M12+. Big John was Saint John’s Classic Rock station that had showed steady increases until flipping to Classic Hits in 2013. As such, one must surmise that even with the positive trend, the owners, Maritime Broadcasting System, expected more from their property and, in fact, the rebranded station (Kool 98) did show a 2-share increase in 2013. So, Saint John is without a rock station… Hmmm, I wonder what Newcap will do now that they have taken over Rogers’ News 88.9. In Fredericton, both Fred-FM (Classic) and The Fox (Mainstream) were in the format until Newcap switched Fred to CHR in 2013. This obviously had a negative effect on rock as a whole, and again we see another company choosing to abandon the genre for one that was already covered in the market by Bell’s 106.9 Capital. Ottawa Anglo has managed to stay fairly flat with 3 stations dividing the rock spectrum – CHEZ (Classic), The Bear (Active and branded as “Virgin” for the 2010 book) and Live 88.5 (New). However, since the Fall 2013 book we have had another casualty of the ‘rock wars’ as Corus got the keys to The Bear at the start of the year and have already blown it up in favour of CHR. That puts them head-to-head with the market leaders, Hot 89.9. Rock often fares well in university/college towns and London is no exception. Heritage rocker, FM96, was joined by classic rocker, Free-FM, in 2011 and have been steady as a tandem ever since. It should be noted, though, that FM96 has trended down over this period (-21.7% FA’11-FA’13) with Free-FM picking up the slack. In Winnipeg, two heritage stations have covered the genre with CITI-FM on the Classic side and Power 97 in an Active position. CITI has held steady over the last 4 years, but Power has suffered with newer material and morning show issues that led to a very disappointing end to 2013. The Wolf has been Regina’s rock station for many years, now. It’s always been successful, but their latest ratings are the lowest in over a decade. We see the same thing in Kamloops where CIFM has been the only game in town in years, but they too suffered some of their worst ratings ever. In the top 5 markets, we start with Montreal, where the Anglo rock station has always been CHOM and it’s been trending up in the last few years. Rock in Toronto has been divided until recently by two Corus-owned properties – Q-107 (Classic Rock) and The Edge (New Rock). Indie 88 came into the market last summer, but they are only now starting to see ratings returns and as such were left out of the scenario. Both stations have been in decline and have made adjustments to their position. Q has shifted away from their focused classic rock to embrace some newer music and the Edge has moved to be more music-intensive. This is partly in response to new competition, but also an outcome of an unsettled morning show. Edmonton has three rock stations with K-97 being classic, The Bear being active, and Sonic airing new rock. For the most part, as a group they have remained fairly steady, but the most recent numbers (November 25, 2013 – February 23, 2014) come in at 15.6 and could indicate future problems. Calgary is also divided three ways between Q107 (Classic), CJAY (Active), and X92.9 (New) and as a group they are holding steady. Like Toronto, Vancouver has two Corus rockers – Rock 101 (Classic) and The Fox (New). Both properties have been consistently trending upwards. So, in general we see that while some markets do show a downward trend, it’s not widespread enough to state that the format as a whole is tanking. However, it is true that many rock stations and particularly the Active and Mainstream ones performed poorly in the last ratings. With Active Rock, the new music in fall would have to be considered the main problem. There were some good songs, but nothing that really sparked heightened or possibly renewed interest in the format. This is not a recent development, though, since rock has been in the relative doldrums for a long time now. While newer rock is largely in the active vein and should aid Active Rock stations, there just isn’t that ‘next big thing’. Some would argue that there hasn’t been since Nirvana exploded on the scene over 20 years ago. I tend to agree because while Cage the Elephant, Kings of Leon and Monster Truck are all great groups delivering great songs, they don’t signal a sea-change. Active Rock, therefore, will continue as a viable format, but expectations for it should be kept realistic. Mainstream Rock also suffers from a dearth of truly high-quality new material, but it is also hampered by the growing disconnect between its older and younger demos. There was a time (and not all that long ago) when stations could find enough newer and older selections that had at least some degree of demographic commonality. Alas, those days are largely over. Increasingly, we’re seeing AMT results that show newer music to be kryptonite with upper demos and a decrease in appeal for older selections by younger listeners. By the way, this even extends to those “rite of passage” bands like Led Zeppelin and Pink Floyd that younger people have historically gravitated towards at some point in the formative years. As such, many of these stations are being forced into choosing between Classic and New Rock. Some stations will continue in their present direction, but the clock is ticking for this position. Other formats are vying for ears and playing a large role in where rock is at the moment. CHR remains hot with reality TV (American Idol, X-Factor, The Voice et al) helping to extend its cycle dramatically. Country is doing well. Urban continues to blossom. Electronic Dance Music (EDM) and Alternative/Indie have grown significantly in just the last few years. In short, there are more options these days. There’s an interesting image I was forwarded that graphically shows all the different music genres over the last 60+ years. It illustrates how fragmented music has become. To see a larger version, go to https://music-timeline.appspot.com/#. You can see at a glance how dominant Rock was in the 60’s and 70’s and how it has slowly been squeezed since the 80’s. Is Rock dead? “No” is the immediate answer, but as each year goes by its appeal lessens overall. It may come to pass that some new artist will emerge to rejuvenate the format, but even if that should happen it won’t signal a return to the ratings juggernaut that the format once was. As such, the onus is on us to make our stations the absolute best they can be. Are the songs you are playing the best for your position? Is your Morning Show firing on all cylinders? Is your imaging being consistently refreshed? Are you marketing effectively? 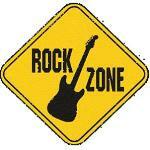 If you concentrate on those things you have control over then your rock station will have many years left in it. Oh yeah, and don’t forget to have fun – it will translate over the air! “Community Living, Ontario”: See www.communitylivingontario.ca. “Young Achievers/Leaders of Tomorrow Month”: International Leadership Network’s Young Achievers/Leaders of Tomorrow Program recognizes and encourages positive achievement, behaviour, leadership and service. Call Tom Eichhorst 314-961-5978, email inleadnet@aol.com. See www.ilnleadnet.com. May 3 “Free Comic Book Day”: Each year, independent comic book stores around the world give out free comic books to children. Call Diamond Comic Distributors 410-560-7100. See www.comicshoplocator.com. May 4 “MS Walk”: The WALK is a critical part of the MS Society’s fundraising efforts and is a significant program in funding research towards a cure for Multiple Sclerosis. Takes place in cities across Canada. See www.mswalks.ca. May 9-19 “Canadian Tulip Festival”: The world’s largest festival with more than 3 million tulips in bloom in Ottawa. The event grew out of a thank-you gift of bulbs from the Dutch Royal Family. Call 613-567-5757 or 1-800-66-TULIP. Email info@tulipfestival.ca. Web: www.tulipfestival.ca. May 10 “National Babysitter’s Day”: To give babysitters appreciation and special recognition for their quality child care. Call Barbara Baldwin 210-695-9838, email bbaldwin@satx.rr.com. See www.safetywhys.com. May 11 “Mother’s Day”: The second Sunday in May. The first celebrations in honour of mothers were held in the spring in ancient Greece. They paid tribute to Rhea, the Mother of the Gods. In 1907 Anna Jarvis in Philadelphia, PA asked her church to hold a service in memory of all mothers on the anniversary of her mother’s death. She later began a letter-writing campaign to create a Mother’s Day observance. May 11-17 “Salute to 35+ Moms Week”: Motherhood is challenging at any age, and if you become a mom when you’re 35 or older, it can be quite an adjustment. For info, email Robin Gorman Newman at rgnewman@optonline.net. See www.motherhoodlater.com. May 12-18 “Work at Home Moms Week”: The challenge of motherhood and working at home can be a balancing act. All women who do it every day are applauded this week and always. Call Robin Gorman Newman 516-773-0911, email rgnewman@optonline.net. See www.motherhoodlater.com. May 12-18 “Children’s Book Week”: An annual event sponsored by the Children’s Book Council to encourage the enjoyment of reading for young people. Call 1-800-999-2160, email info@cbcbooks.org. See www.bookweekonline.com. May 19 “Victoria Day”: Commemorates the birth of Queen Victoria on May 24th 1819. It is a national holiday in Canada. Observed on the first Monday preceding May 25th. May 22 “Immigrants’ Day”: A day to celebrate and recognize the contributions made by immigrants to Canada and to discuss the Canadian immigration policy and experience. Call Sergio R. Karas 416-506-1800, email karas@karas.ca. See www.karas.ca. May 24 “Brothers Day”: Celebration of brotherhood for biological brothers, fraternity brothers, brothers bonded by union affiliation or lifetime experiences. For info: Daniel Rhodes. Phone 205-908-6781, email rhodan@charter.net. May 26 “Memorial Day (US)”: Legal public holiday in the United States, in honour of those who have died in battle.